12/15 Update: We have two championship flight spots available -- please register using the link above. The Tour Championship is now open to all players who satisfy the handicap requirements. Join is at the completely renovated Poppy Hills Golf Course in one of three fields: scratch, senior scratch, and net. Poppy Hills recently reopened after a complete remodel. The course plays fast, firm, and fun yet retains the charm of winding through the forest inside the 17 Mile Drive. 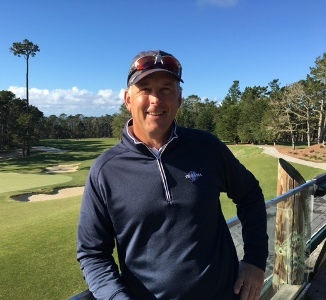 Read a Poppy Hills Pebble Beach Course Review. 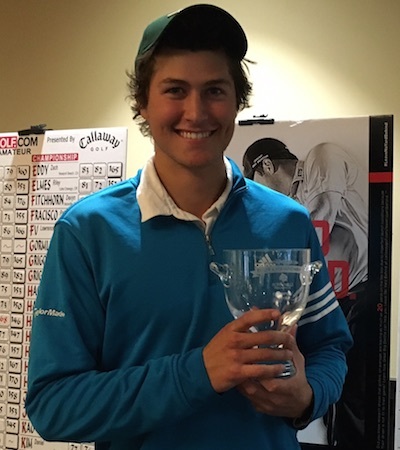 Dec 19, 2015 - Cal Bear Clatyon Madey takes a one-shot lead into the final round of the AGC Tour Championship at Poppy Hills. Pairings for Round 2 on Sunday December 20 follow. We have a new Carmel/Monterey hotel, and you'll love the amenities and location! The Carmel Mission Inn is located perfectly for any of AmateurGolf.com's Monterey Peninsula events. We love the hotel's boutique-style renovation, and location adjacent to a shopping center that has everything you would need to enjoy the weekend. Longtime Carmel-favorite The Rio Grill is steps away, as is The Carmel Valley Roasting Company for your morning coffee and bagels. We have secured an excellent player rate and hope you will take advantage of it.